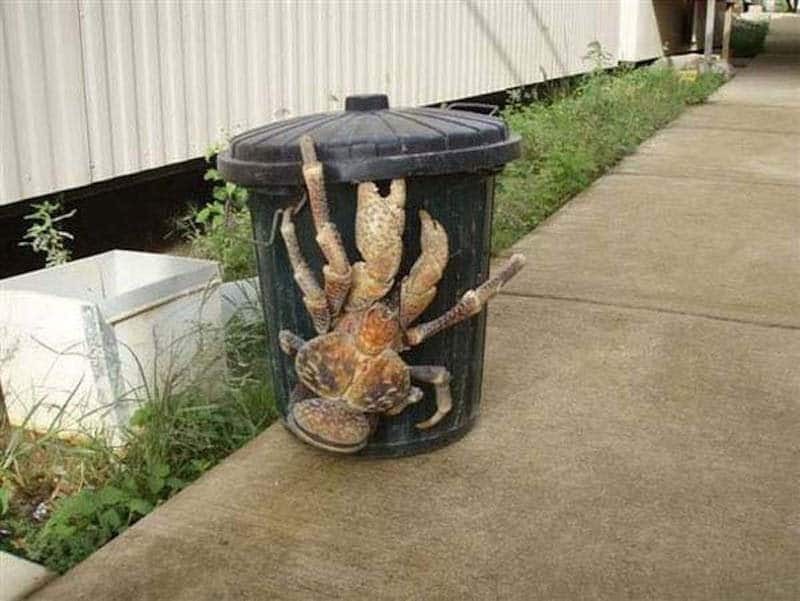 If you’re planning on visiting Cameroon anytime soon, keep in mind you might encounter one of these big guys. 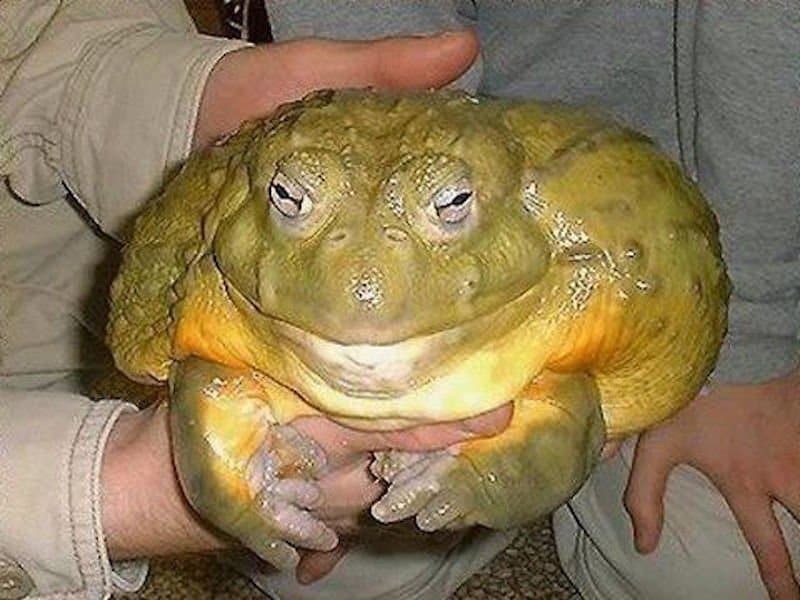 Goliath toads can reach up to 12.6 inches long and weigh over 10 pounds. 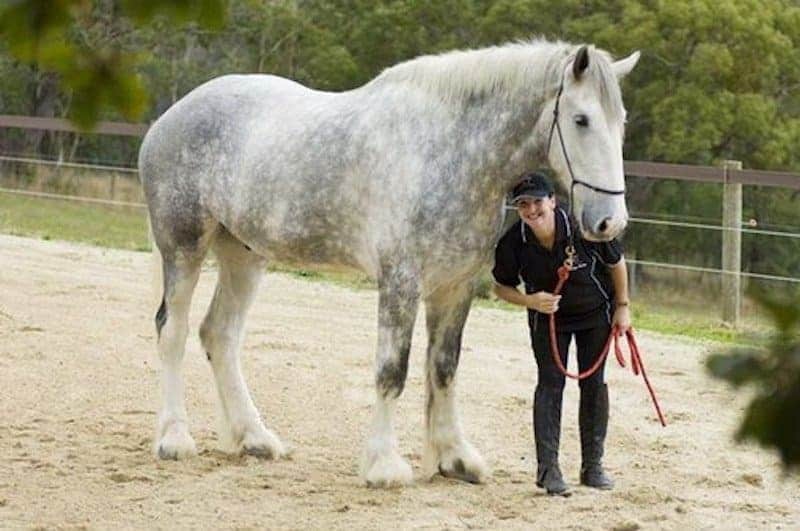 Substantially bigger than the average human, this sweet dog almost looks more similar to a horse than a canine. 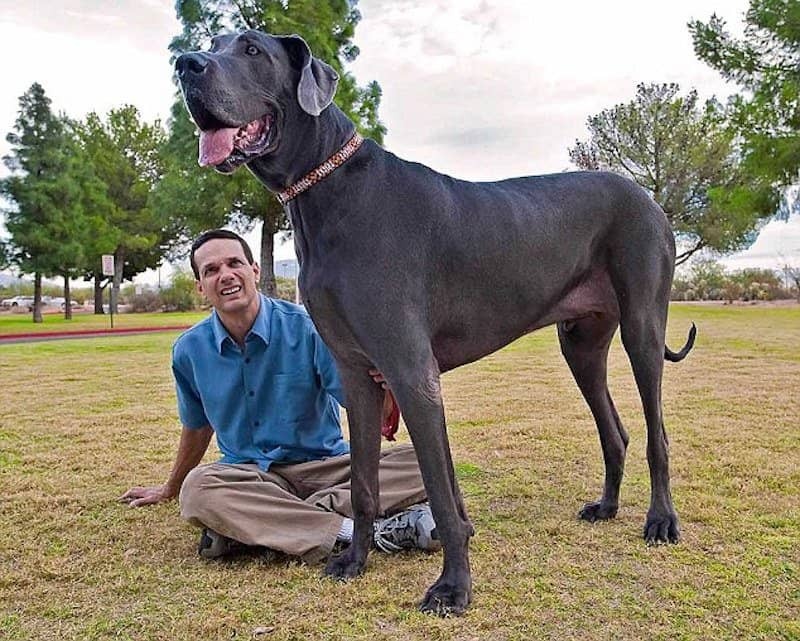 Coming in at 245 pounds, George consumes over 110 pounds of kibble each month. 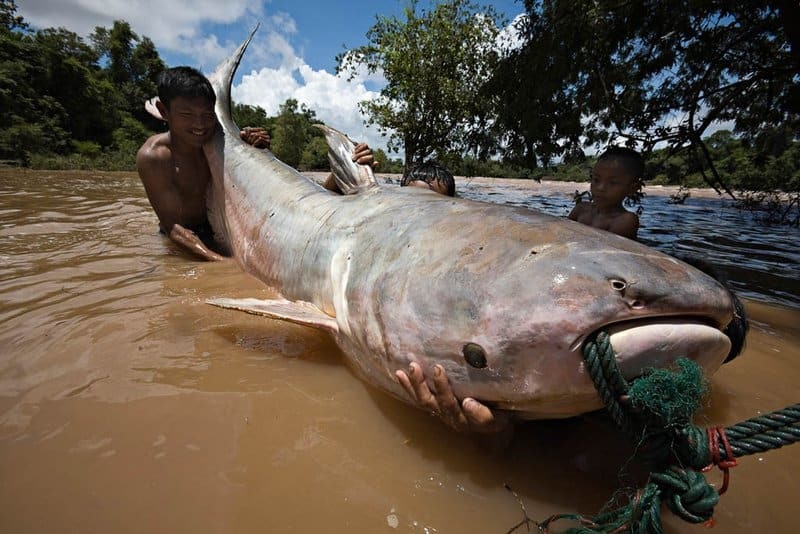 While it looks to be the size of a shark, the Mekong Catfish is in fact just a fish. 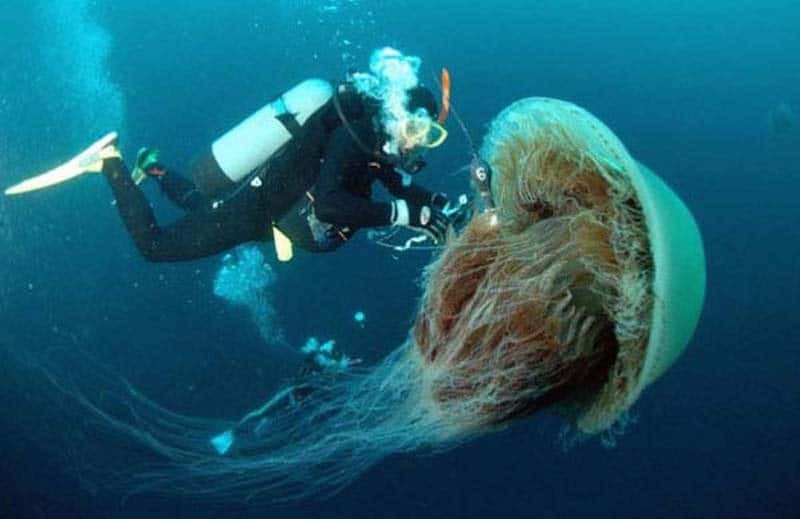 That is, if you can call a 10.5 foot long fish “just a fish”. 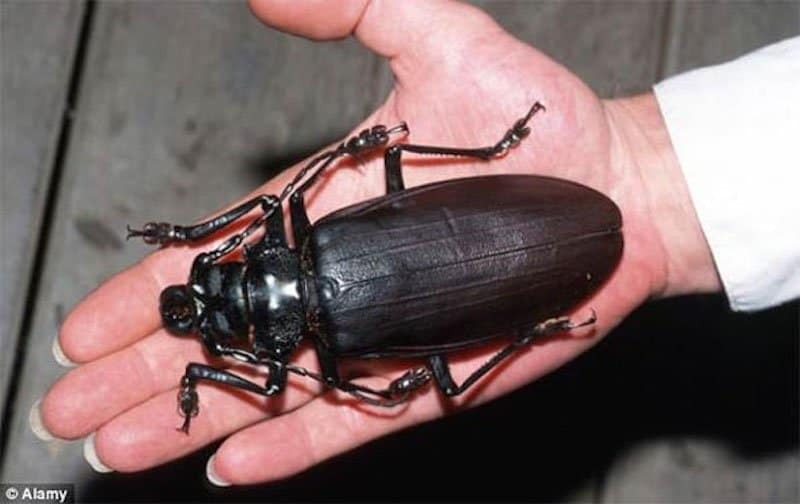 A far cry from barely inch long beetles we’re used to seeing, is the South American Beetle. Measuring up to 6.5 inches, that’s one creepy crawler. Although these bats have a wing span that can measure over 5.5 feet, they tend to weigh less than 3 pounds. Though it probably doesn’t provide much comfort, bats are known for being non-aggressive to humans. Moo-ve out of the way, Trigger is coming through! 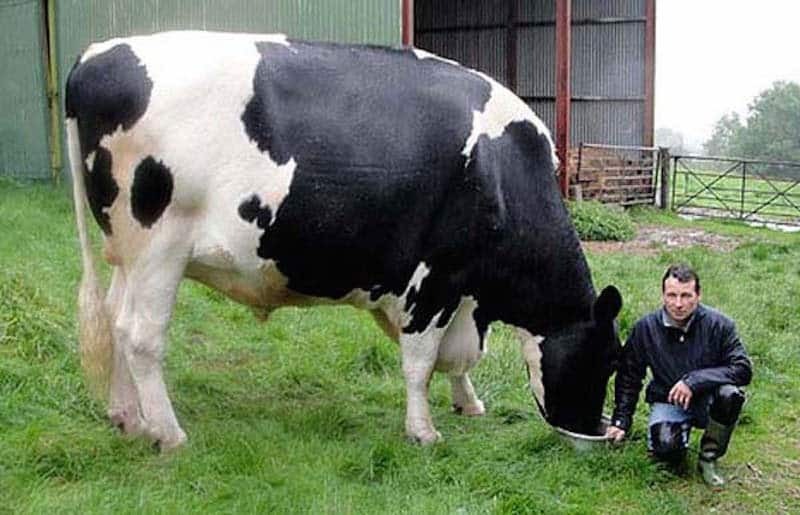 This cow weighs over 1 ton and is more than 10 feet long and 6.5 feet tall. 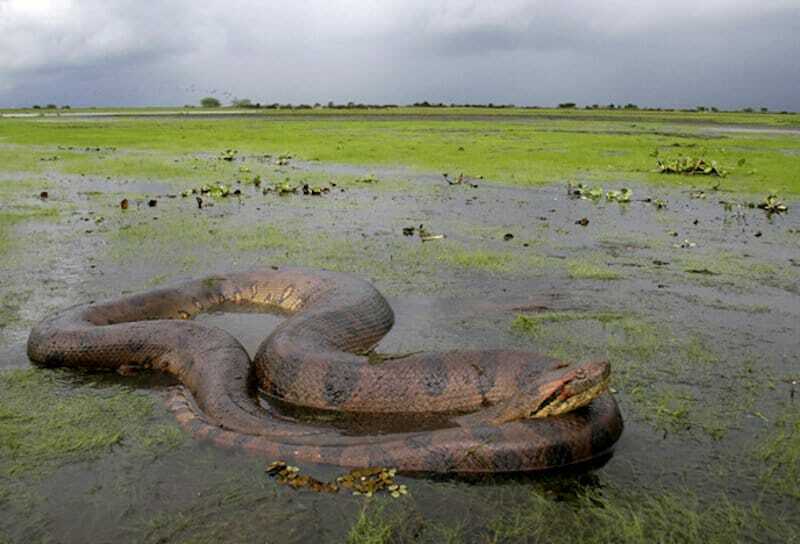 The thickest of all snakes, the green anaconda can measure up to 28 feet long and weigh 500 pounds. Luckily, they’re relatively solitary creatures who mostly stay hidden. 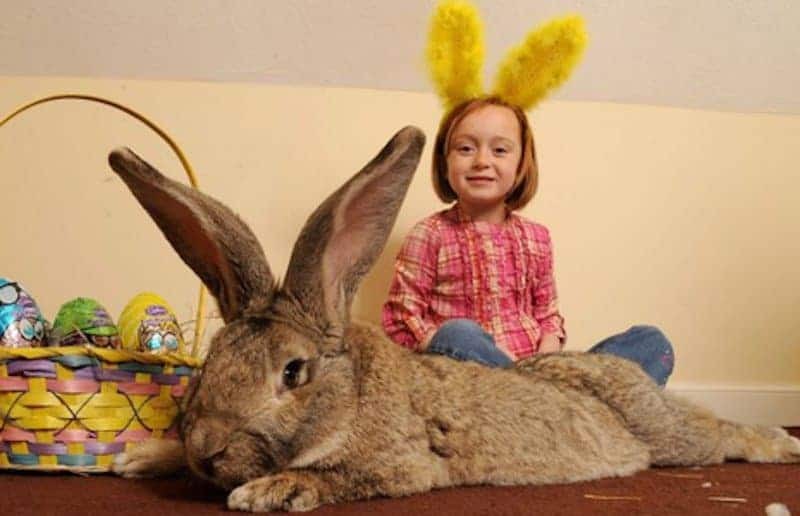 A real life Easter Bunny, Darius the rabbit weighs a whopping 50 pounds and is 4.4 feet tall. In one month alone, Darius will consume 360 carrots, 30 apples, and 15 cabbages. 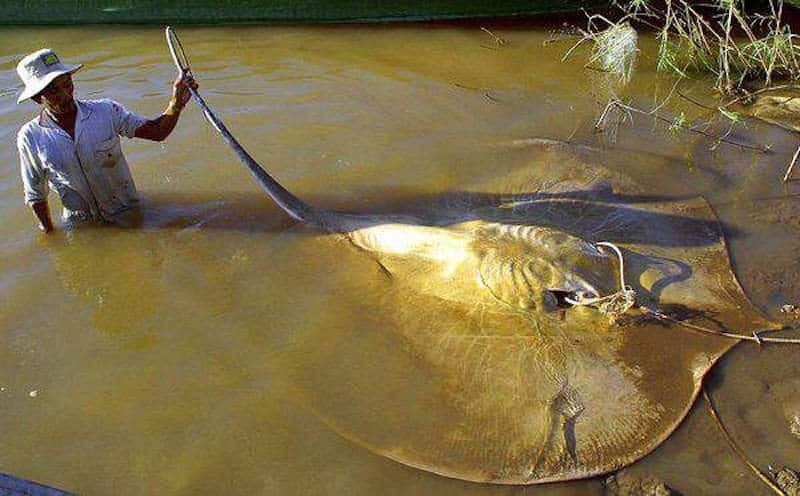 It might look like something dreamed up for a horror movie, but the giant freshwater stingray is a real thing. These endangered species have been known to weigh up to 1,300 pounds. Most snails that people see on a regular basis are about the size of the end of a thumb. 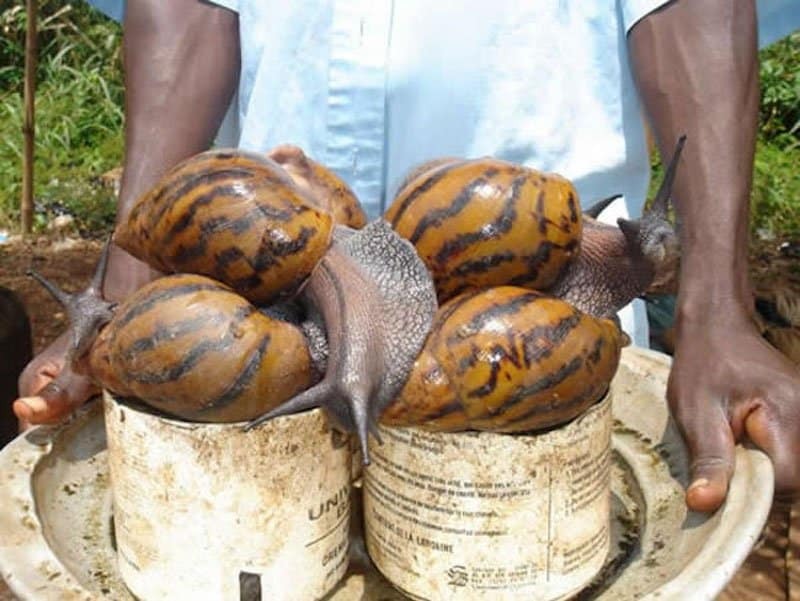 These African Giant Snails are not only bigger than a thumb, at over 8 inches long, bigger than your whole hand. 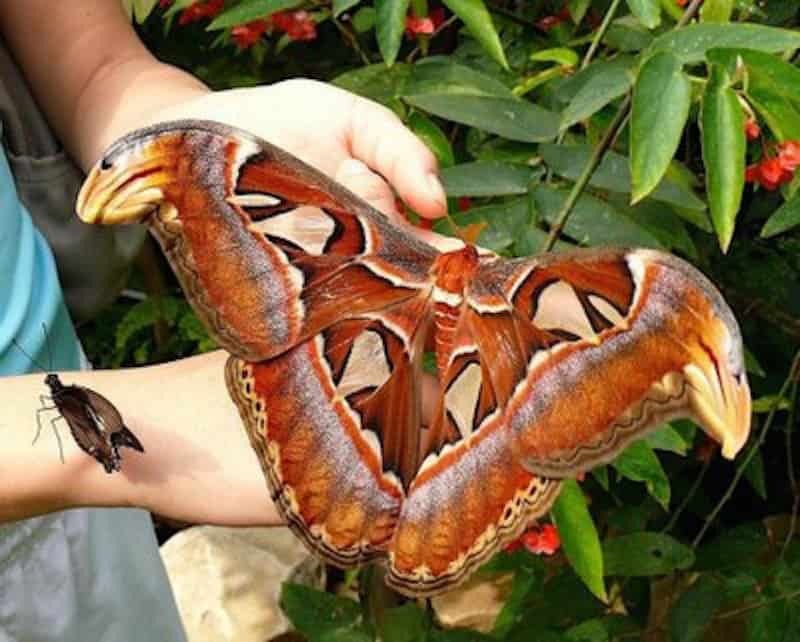 There probably isn’t a mothball in the world big enough to keep these moths at bay. A startling sight, they are actually bigger than most birds. 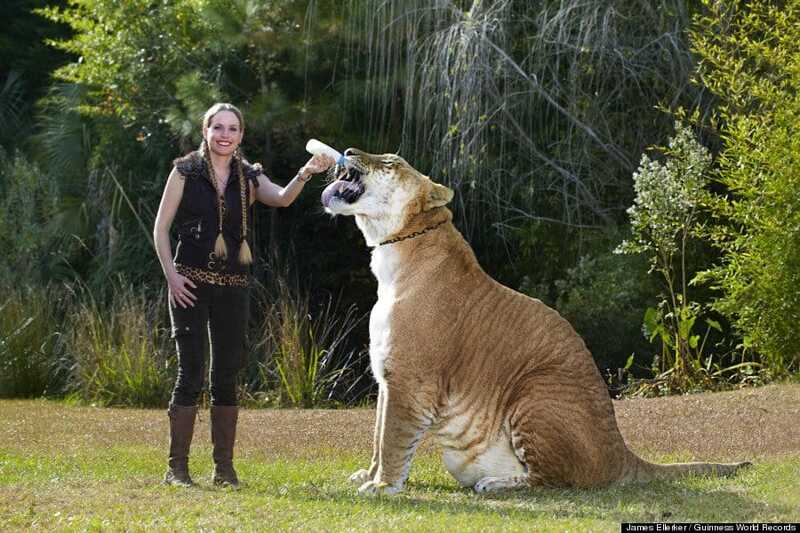 Hercules the Liger is the offspring of a male lion and a tigress. At 922 pounds and 49 inches at the shoulder, he also holds the world record for the largest living cat. Samson was an English horse who was over 2.2 meters tall at the withers. He also weighed almost 1.5 tons.